Just because it’s called March Madness doesn’t mean you have to go insane with worry over how to throw the perfect party for your team. 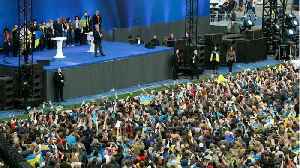 Here’s how to make your watch party an easy layup.??? ?There’s no game day party without the proper snacks. Bustle suggests classics like chicken wings. 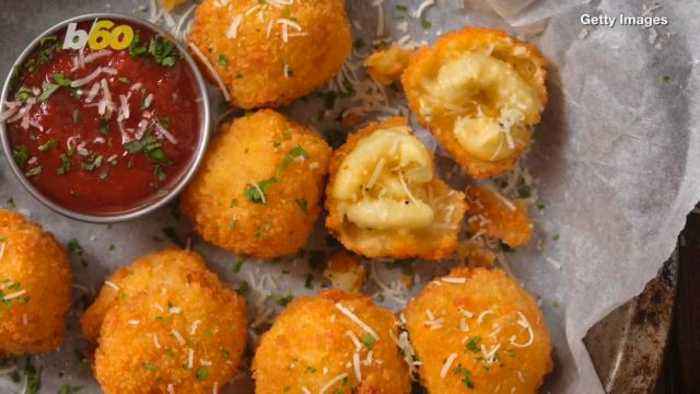 But you can also get a little fancy and make fried mac and cheese balls. Which everyone will love and will keep you on a budget.??? ?If you want everyone to see your winning bracket, how about this giant version from Amazon. But hurry they are selling out, they go for about $60.??? ?Leave it to Martha Stewart to have the best party ideas. Channeling the colors of a basketball, she recommends sticking to an orange and black colored palette for everything, decor and food! Plus, who doesn’t love cheese balls and oreos???? ?And for a signature cocktail, how about her Rum punch with melon balls! Keeping with the theme and also delicious!??? ?Sounds like this party is a real slam dunk!?? 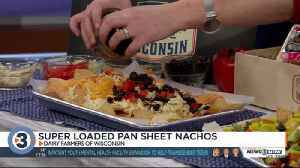 Angie Edge from the Dairy Farmers of Wisconsin shares a slam-dunk recipe for nachos using one pan that will please palates during March Madness. Visit wisconsincheese.com for the recipe.